The name undoubtedly derives from Latin, but the original meaning is uncertain, for some historians "Castrum Bargoni", for others, "Casalis Berg". Both assumptions, however, refer to a settlement and the name of its land lord "Burgo", from which derives "Borgone". It is a municipality in the province of Turin, located on the border with the province of Asti, where surrounding valleys met with the streams Losa and Leona. The municipal territory includes a historical center built around a medieval castle and is situated on a hill from which you have control over the surrounding territory, with the Bosc Grand, a forest of 700 hectares, that hosts various rare plant species, and several districts and villages built within the woods. The earliest documented records that report the presence of a settlement date back to year 1000: at that time the territory was controlled by the Bishop of Vercelli. It is likely that a first garrison, traceable in the current North-Eastern part of the town, can be dated to the Roman imperial period, as evidenced by the discovery of an inscription. 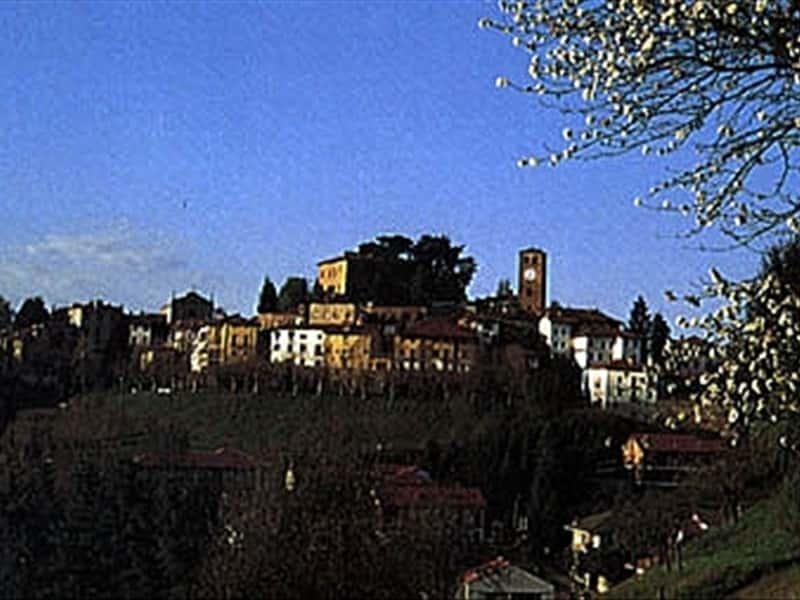 In a scroll of the second half of the XIII century, the town is mentioned for the first time with the name of Casale Bergonis and described as a center built on a hill around a castle built by the Radicati Family, to whom the territory belonged to, since 1186 and that it was linked to the Sforza Family and to the Marquis of Monferrato. In 1430 Giovanni Radicati allied with the Savoy, but in the first half of the XVII century, Casalborgone was ceded to the Counts of Broglia. The town is unfortunately notorious for the massacre of a group of partisans and civilians by the Nazi forces at the Baudina farm in the nearby. This town web page has been visited 21,789 times.